Latest Legwarmers in a variety of styles from top dancewear brands. Balera Cable Knit Legwarmers: These cozy cable-knit leg warmers have ribbed cuffs on each end and come in colors designed to complement any dance class or warmup outfit. Imported.Fabric : Acrylic. Balera 21 inch Acrylic Leg Warmers: Cozy, 21" adult acrylic leg warmers have ribbed cuffs on each end and come in multiple high-energy colors. One size fits most adults. Made in USA.Fabric : Acrylic. Double Platinum Adult Sequin Legwarmers N7304: Channel your inner-80's dancing diva in these banded sequin legwarmers! Features include an elastic-banded top and binding around the ankle to prevent slipping. Available in a variety of vibrant colors, these legwarmers will add the perfect finishing touch to any costume! Double Platinum Girls Sequin Legwarmers N7304C: Channel your inner-80's dancing diva in these banded sequin legwarmers! Features include an elastic-banded top and binding around the ankle to prevent slipping. Available in a variety of vibrant colors, these legwarmers will add the perfect finishing touch to any costume! Natalie Womens Striped Knit Legwarmers N9105: A ballet must-have! These classic legwarmers feature an above-the-knee length and allover striped knit fabric. 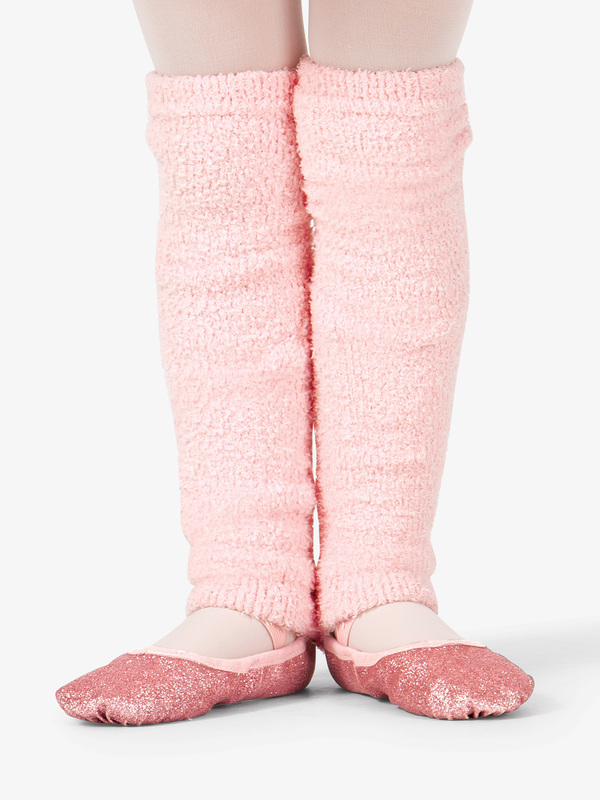 Sansha Girls Plush Legwarmers KT050P: A sweet addition to any ballerina's ensemble! Features a super fluffy plush fabric and hidden elastic hems to hold leg warmers securely in place. Great for class, practice, or performances! Measures 14-inch long. Wear Moi Adult Idra Skinny Full Length Multi Color Legwarmers WM174: These skinny, geometric, full-length leg warmers are impeccably made and designed to match the colors of your favorite Wear Moi leotards. Maroon combo contains colors: Maroon,Black, Grey, Salmon. Lilac combo contains colors: Lilac, Pacific, White, Salmon. French Blue combo contains colors: French Blue, Black, White, Salmon.Teal combo contains colors: Teal, Black, Copen, Red.Rose combo contains colors: Rose, Grey, Amaranth, Salmon. Bloch Girls Cable Knit Stirrup Legwarmers CW6940: Stay cozy in these stirrup legwarmers featuring a thigh-high length, ribbed cuffs, and a ribbed hem. 27-inch stretched. Bloch Womens Cable Knit Stirrup Legwarmers W6950: Stay cozy in these stirrup legwarmers featuring a thigh-high length, ribbed cuffs, and a ribbed hem. Body Wrappers Adult Unisex 27 Stirrup Legwarmers 194: Bodywrappers 27-inch stirrup legwarmers. Machine wash cold with like colors, dry flat. Perfect for men too! Body Wrappers Adult Unisex 48 Stirrup Legwarmers 92: Bodywrappers 48-inch stirrup legwarmers. Machine wash cold with like colors, dry flat. Perfect for men too! Body Wrappers Adult Unisex 36 Stirrup Legwarmers 94: Bodywrappers 36-inch stirrup legwarmers. Machine wash cold with like colors, dry flat. Perfect for men too! 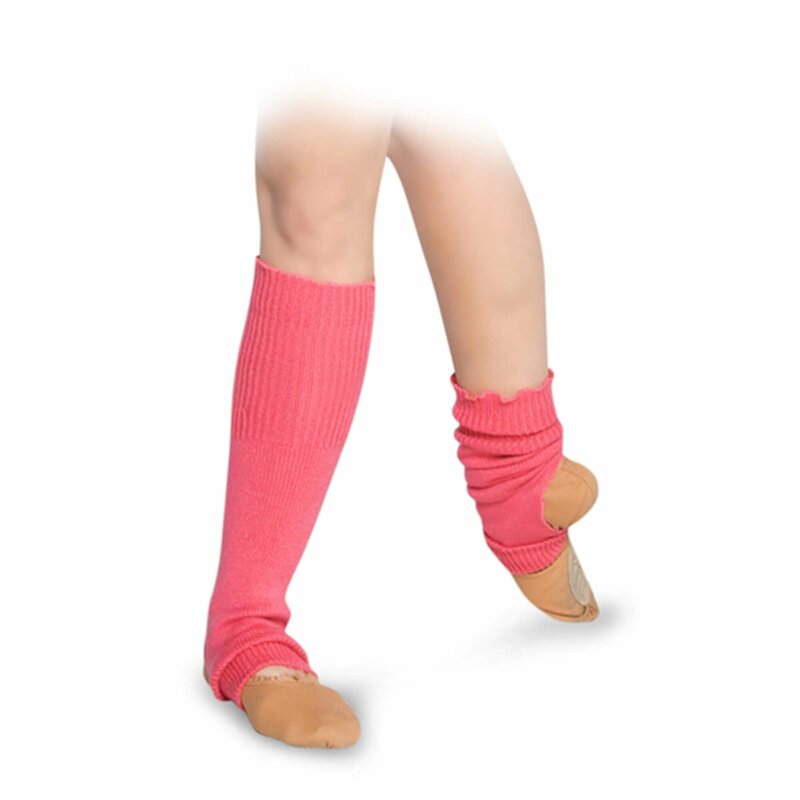 Discount Dance Supply Adult Unisex Legwarmers 4444: These solid, 26, super soft legwarmers complement more warm-up pieces and allow you to mix and match with the garments of your choice. Hand wash in cold water, hang dry.Perfect for men too! Balera Balera 21 inch Acrylic Leg Warmers: 21 inch acrylic legwarmers. Made in USA.Fabric : Acrylic. Balera Cable Knit Legwarmers: Cable knit legwarmers keep their legs warm and ready to dance at any moment. Imported. Imported.Fabric : Acrylic. Balera Stirrup Legwarmers: 22 inch stirrup legwarmers. Made in USA. Balera Sweater Knit Legwarmers: Cozy knit leg warmers in two-tone marled pattern. Child = 12", Adult = 18". Imported.Fabric : Acrylic. Balera Tall Legwarmers: Soft, over-the-knee, knit leg warmers. Imported.Fabric : Acrylic. Harmonie Womens 24 Inch Multi-striped Legwarmers: Looking for a way to look different in your dance class? our 24 inch long legwarmers offer multiple colored stripes that can't be missed. the soft knit offers comfortable stretch. 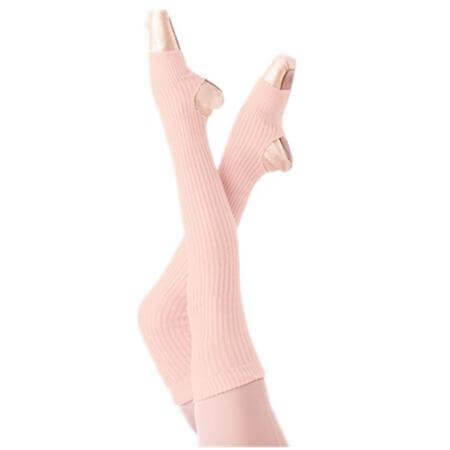 these legwarmers are the perfect compliment to your dancewear. 8 different color combos/patterns to choose from. Sheer Delights Child Hot Pink and Black Ruffled Polka Dot Leg Warmers: Cute Legwarmers fit Infant to Small Child. Use as Arm-warmers for Bigger Girls! Great for dance class. Sheer Delights Child White with Pink Hearts Ruffled Leg Warmers: Cotton blend for comfort. Sheer Delights Dancewear Adult Size White Acrylic Leg Warmers: .